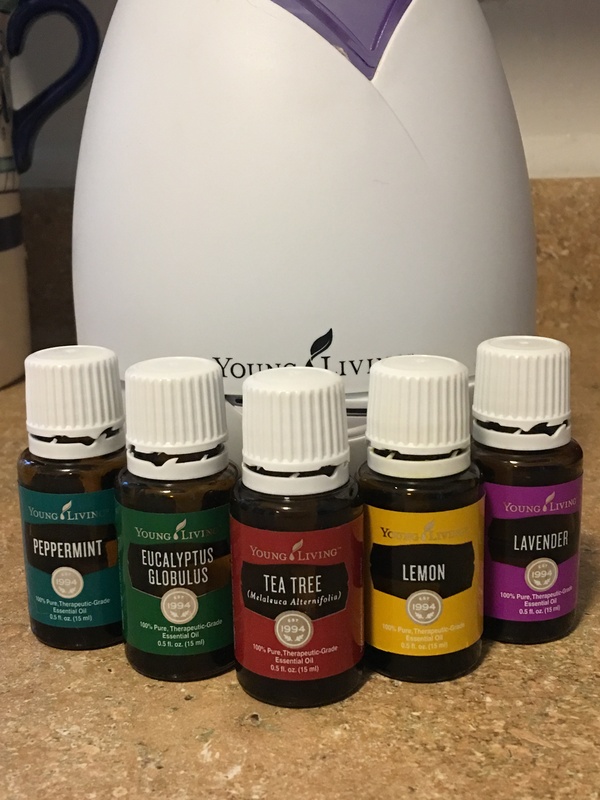 I use a variety of Young Living essential oils regularly. But there are five essential oils I use every day, day in and day out. Let’s start from the bottom of my Fantastic Five list—lavender. Who doesn’t love lavender? Well, I suppose there may be someone out there, but I’ve never met them! There’s a reason lavender infused products line the shelves of just about any store that carries cleaning, bath, or body products. Lavender is relaxing, freshening, clean, and comforting. It’s also one of the most versatile essential oils you’ll ever encounter. I diffuse it every night in both Mom’s and my rooms to promote restful sleep. That’s just my preferred way to use it for sleep, but others swear by rubbing it on the bottoms of their feet at bedtime. I’ve also made a great body scrub by combining coconut oil, granulated sugar in equal amounts with a few drops of lavender. I’ve used it to soothe minor burns, but I also find it is great for little, itchy skin irritations like dry patches or bug bites. Tee tree is great for itchiness, too, but I find its aroma too strong on its own. Lavender softens Mom’s and my skin, also. That was my go to diffusing option, 24/7, at first. But I wanted to be able to diffuse lavender at night in my room, and enjoy other diffusions throughout my day. So, I started applying the combination topically. In a layering technique, I rub a drop or two of each oil on my chest in the morning and before bed, waiting about twenty seconds between applications. More effective than diffusing, it stays with me wherever I go. So, my sinuses stay clear around my fur babies, but also when something noxious is in bloom outside the house. The one essential oil to rule all others. Ok. The One Ring was evil. But you get the reference. I don’t want to live in a world without peppermint essential oil. It’s decidedly not evil, but it is magical. Aside from my PETaL necessaries, I use peppermint all day on Mom and me. We both wake up achy and creaky and stiff. I rub a few drops down Mom’s spine to help awaken her still sleepy muscles. I rub a drop or two on the back of my neck to invigorate my muscles and my brain—which is notoriously slow to boot up. Then I rub whatever residue is left on my hands through my hair and scalp because peppermint it too darn special to wash off my hands! I cup my hands and breathe it in. I diffuse it with rosemary when I work to promote concentration and inspiration. There are of course countless additional uses, methods, and positive impacts of these oils that I haven’t even explored yet. But I’m sure I will because these Five Essential Essentials are always at my fingertips, every day. Diffusing—two drops rosemary, three drops peppermint (concentration, inspiration, and they just smell great!) Rosemary is powerful, though, so I diffuse on the intermittent setting—twenty seconds on, forty seconds off. If you’d like to learn more, contact me! Fantastic information. Thanks for sharing.